Drop — How do I know if my scale is connected to the Drop Recipes app? How do I know if my scale is connected to the Drop Recipes app? After you have turned on Bluetooth on your device and opened the Drop Recipes app, pressing the front button of the scale should cause a green connection bar to appear briefly in the top of the app. After a second or two, this connection bar will contract and become a thin green line. If the thin green line is visible, that means that your scale is connected to the app. If you can't get the connection bar to show, please refer to this troubleshooting guide. How do I connect my GE Connected Oven to Drop? 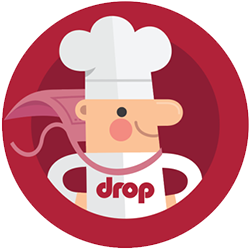 What devices are the Drop Recipes app compatible with?